The 2019 trip to the Church Planting Institute’s National Conference will take place November 8-17, 2019. If you are interested in joining the team, contact us at info@japancpi.com. Take a look at these videos about this year’s conference and the purpose of the CPI Conference as a whole. With over 36 million people, Tokyo has the largest metropolitan area in the world – but it’s estimated there are only 3,000 churches. The Church Planting Institute (CPI) partners with them. Pastor Ryuta will be a main speaker at the national conference in November. Pastor Seima Aoyagi serves on the leadership team for CPI. And Pastor Fukuda is a friend and partner with CPI. This video requires Adobe Flash®. If you have an incompatible version or Flash is not installed, you can download it here. Why do we go to Japan? 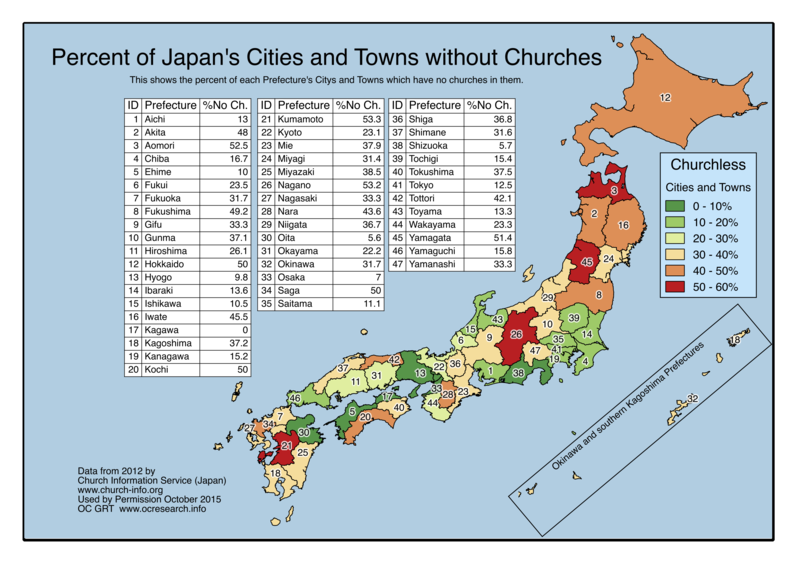 Because many Japanese have never even heard of the Gospel, and may not have a single church in their city or town. More videos are available on our Videos page.